Aly Barohn is a fiber artist currently residing in Denver, Colorado, USA. Originally from Nebraska, Aly attended Chicago’s Columbia College, where she received a BFA in Fine Art and Fashion Design. She spent six years working as a costume designer in the film and television industry in Chicago and New York until leaving Brooklyn in 2011. 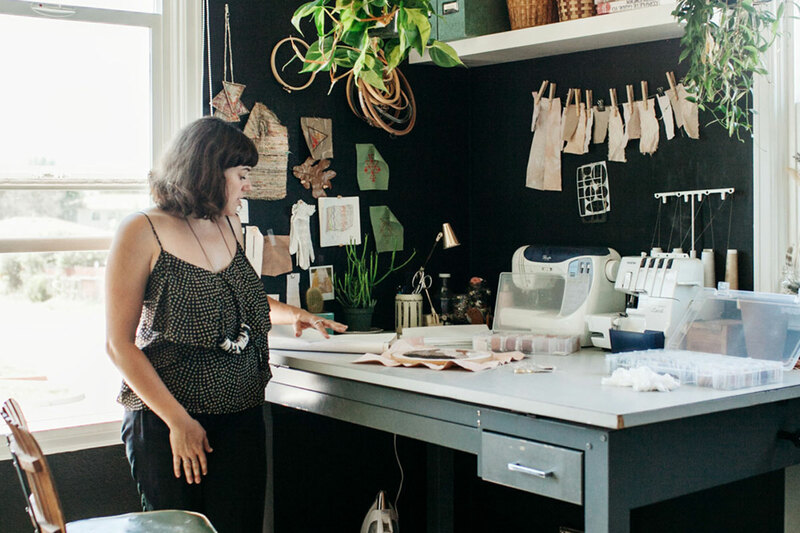 Seeking a little quiet, Aly relocated to rural Arkansas where she found the time to really begin exploring embroidery and other textile arts. Her body of work developed while surrounding herself in the ever inspiring wilderness. 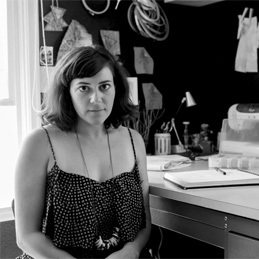 Her work is mostly based around embroidery techniques with all hand-dyed fibers. It is dimensional and textural, encouraging the viewer to experience the work through touch as well as sight.